Getting a scratch on your paintball marker when carrying it to the meet or storing it in your closet can be a real bummer. A good bag or carrying case will greatly prolong the life of your paintball gear and keep it looking and acting brand new all the time. The US Army Paintball Marker Case is perfect for carrying your gun and necessary equipment to wherever you're going. 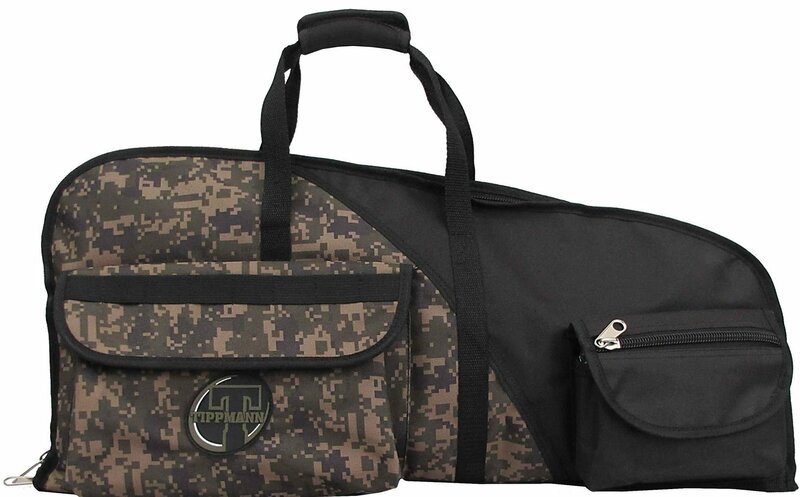 This padded, zippered bag will fit most paintball guns in it's main compartment. It also features a fairly large external pouch secured by a zippered pocket flap. The US Army Paintball Marker Case also featues a detachable 3-pod harness that can be used during game play. Carry and store your pods, then detach the harness, put it around your waist and hit the field! Sturdy material and heavy duty stitching make the US Army Paintball Marker Case a gear bag that will last and last. Thick nylon material handles make carrying your equipment around easy and convenient. Comes in US Army ACU camouflage color. Buy all of your necessary paintball gear from ChoicePaintballGuns.com. We offer exceptional customer service, fast shipping and checkout is easy, safe and secure. Shop online for your paintball supplies and have them delivered right to your front door!